Once Upon a Twilight! 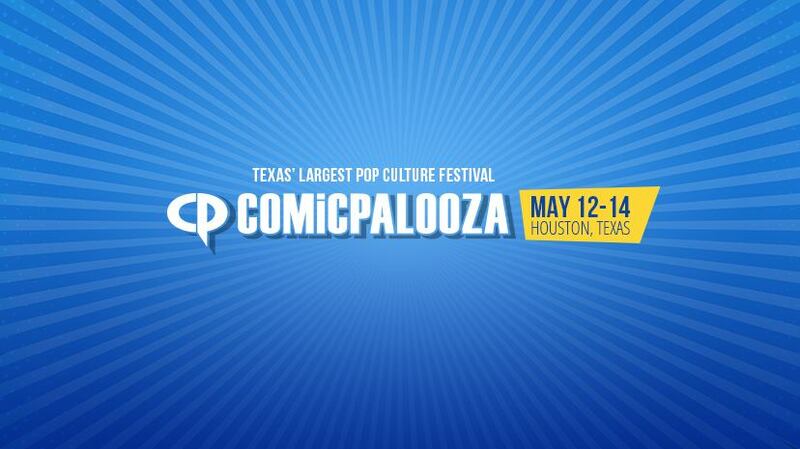 : #Comicpalooza Expands Its #Marvel Lineup!! You Don't Want To Miss Out! #Comicpalooza Expands Its #Marvel Lineup!! You Don't Want To Miss Out! HOUSTON (April 25, 2017) — Following the recent announcement of headliner Chuck Norris, Comicpalooza unveiled impressive additions to its existing Marvel talent, including Charlie Cox, Jon Bernthal, Elden Henson, and Geoffrey Cantor from the Netflix hit, “Daredevil”, along with “Guardians of the Galaxy Vol. 2’s” Pom Klementieff. “Marvel has created a universe of characters from the shadowy neighborhoods of Hell’s Kitchen in New York City to exciting planets far away. We are thrilled to bring such a large contingent of the stars that make these worlds possible on film to Houston for our attendees,” says John Simons, Founder of Comicpalooza. Charlie Cox has had a steady career in acting since 2002 with roles in “Stardust”, “Downton Abbey”, “Boardwalk Empire”, among others. His breakthrough came in 2015 when he played the title role of Daredevil. His performance as the beloved comic book hero, a blind lawyer by day and vigilante by night, was met with praise by both critics and fans. He will put the mask back on in August when he joins Comicpalooza 2017 guests Mike Colter as Luke Cage and Finn Jones as Danny Rand/Iron Fist in Marvel’s “The Defenders” on Netflix. Jon Bernthal’s career started on the stage, with his first television appearance in 2002. His most notable performances are of tough and tortured characters that fans love, including his portrayal of Rick Grimes’ best friend, Shane, in the zombie-riddled world of “The Walking Dead” and the popular anti-hero, Frank Castle/The Punisher, for Season 2 of “Daredevil” in 2016. Bernthal has been in several films including “The Wolf of Wall Street”, “Fury” and “The Accountant”. Elden Henson is a series regular on “Daredevil” as Matt Murdoch’s caring and funny friend, Foggy Nelson. Henson became a child star of the 90’s as Fulton Reed in “The Mighty Ducks” and its sequels, “D2: The Mighty Ducks” and “D3: The Mighty Ducks”, and has since been in films such as “Turner & Hooch”, “Idle Hands”, “Cast Away”, “Lords of Dogtown” and “The Hunger Games: Mockingjay” Parts 1 and 2. Geoffrey Cantor, plays recurring character Mitchell Ellison, the editor in chief for the New York Bulletin in the Marvel Cinematic Universe. The seasoned actor has had supporting roles in numerous television shows throughout his extensive career. Comicpalooza reaches further with the addition of Pom Klementieff who stars as Mantis in the long-awaited Guardians of the Galaxy Vol. 2. The film, due out the week before Comicpalooza, is expected to be another blockbuster for the franchise. The French-Canadian actress will be reprising her role in “Avengers: Infinity War” coming in 2018. Klementieff can be seen in the French film “Loup” as well as Spike Lee’s “Oldboy”. The actors will be joining an already elite lineup of Marvel heroes including Anthony Mackie, who plays Falcon in the “Captain America” and “Avengers” franchises; Mike Colter, who brings the character Luke Cage to the Netflix series of the same name as well as “Jessica Jones” and the upcoming “The Defenders” series; along with, Finn Jones, who recently starred in “Iron Fist” on Netflix. Comicpalooza, a premier pop culture event, will present more than 2,000 hours of programming spanning from popular trends to obscure topics. Comicpalooza will return to the George R. Brown Convention Center on Friday, May 12 – Sunday, May 14. For the most-up-to-date information, including special guests, admission prices and schedules, visit www.comicpalooza.com. Comicpalooza is a unique, multi-format pop culture event featuring more than 2,000 hours of diverse, interactive programming that spans across Comic Books, Gaming, Films, Anime, Cosplay, Literature, Maker’s Space, Education, Children’s Programming and Entertainment.